After the success of my students leaving the nest for University, there are currently spaces available in Chelmsford Essex, Contact me on magicflute7@hotmail.com to enquire. Qualifications: B.Mus (hons) RWCMD, DipABRSM performing, ABRSM Cerficate of instrumenal Teaching, Accredited Tobin Music Teacher (composition), NVQ level 3 ‘Playwork’. Up to date and enhanced DBS checks. Member of the Incorporate Society of Musicians. 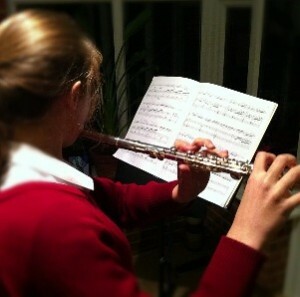 I have been teaching pupils on a one-to-one basis for the past twelve years within a relaxed, friendly atmosphere. My pupils have ranged in age from 4 years old to adult. 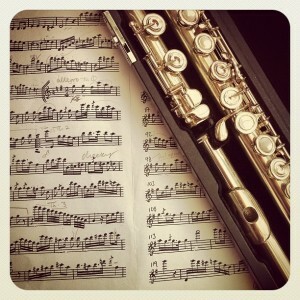 I am very patient, make learning fun and adjust my teaching techniques appropriately to suit each individual in order for them obtain a love of their instrument and the music that they are ultimately able to produce. I am currently teaching pupils privately in Chelmsford, Essex, and have extensive experience in peripatetic teaching in schools on a 1:1/group basis. I am employed by Essex Music Services and Mary Hare School, Berkshire and this provided me with a wealth of experience teaching students of both Primary and Secondary level. 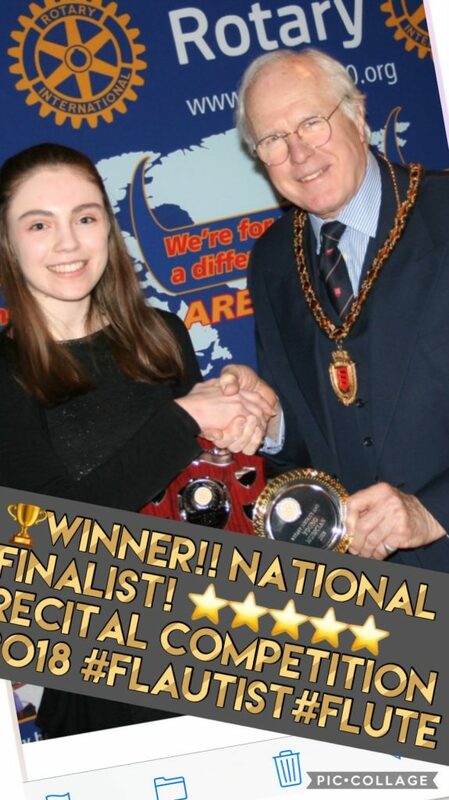 I have since entered over hundreds of pupils and have a huge success rate from candidates taking Associated Boards of the Royal Schools of Music (ABRSM) & Trinity Guildhall examinations. 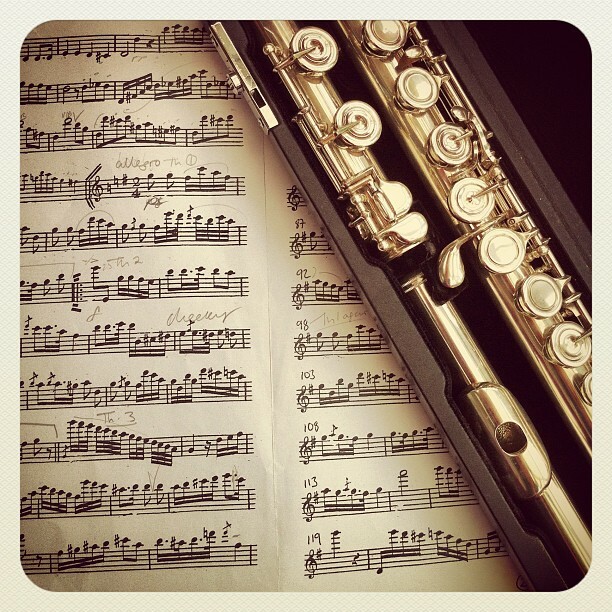 As well as preparing pupils for these examinations or for pure learning pleasure, I also teach a wide variety of music, including classical, popular, jazz and duets. Private lessons are in lengths of 30, 45, 60 minutes in relation to each individual’s needs and level of ability. Please contact me for fees. 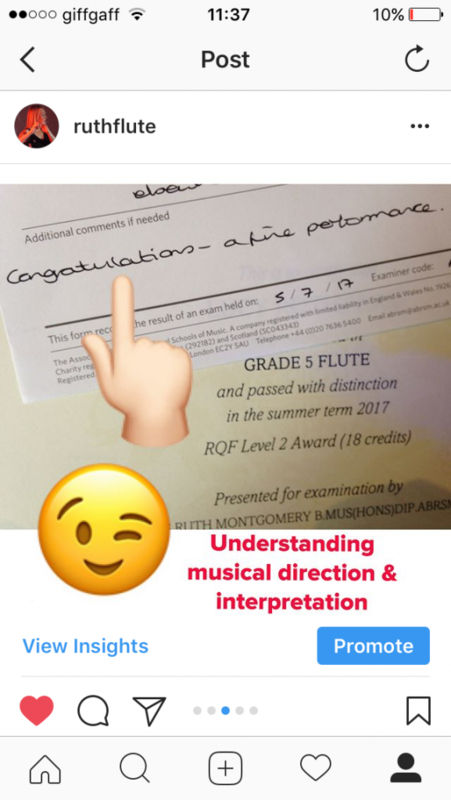 Couple images – of my student’s successes, plenty of flute teaching stories on Instagram @ruthflute and in blog/facebook pages.